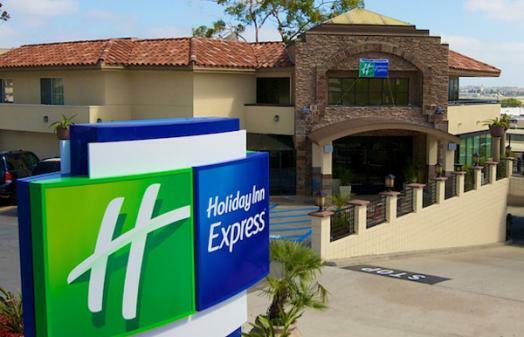 A Classic Favorite Among Hotels In Old Town San Diego&reg Enjoy old-world charm and modern comfort at the Holiday Inn Express Old Town San Diego. Whether you're here for work or pleasure, this convenient hotel in Old Town San Diego offers spacious accommodations in a landmark location, brimming with old-world charm. Explore the historic landmarks, shops, and restaurants that surround this popular Old Town San Diego hotel. Stroll among the palms and striking architecture of nearby Balboa Park - best known as the home of the world-famous San Diego Zoo. Play with a bottlenose dolphin or dine with Shamu at SeaWorld. Hash out a brilliant new marketing plan in one of our meeting rooms. Our comfortable Old Town San Diego hotel provides access to numerous attractions from an exceptional setting. Gracious Hospitality At Our Old Town San Diego Hotel&reg A warm California welcome awaits you at this charming Old Town San Diego hotel. Start each morning with a free continental breakfast. In for a conference&reg Make use of nearly 2,000 square feet of flexible meeting space, free high-speed Internet access, and onsite business center. Then sit back and relax in the comfort of your well-appointed guest room - some complete with balconies. Or take a refreshing dip in our heated outdoor pool. Rely on us for remarkably affordable San Diego Old Town lodging, complemented by a full range of features. This hotel is committed to providing accessible facilities under the American Disabilities Act. If your accessibility needs are not met, please contact the Hotel Manager on Duty. Should you require additional information regarding accessible facilities for guests with disabilities, please call 1-800-Holiday (U.S. and Canada) or contact the hotel directly. For the hearing impaired, TDD service is available at 1-800-238-5544 within the U.S. and Canada.